Please let me know your colour selections you can choose up to 5. 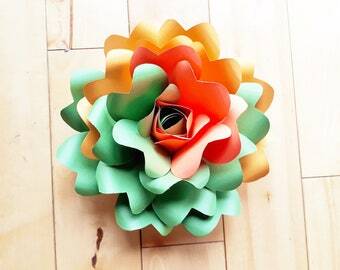 Mini Paper Flowers are a great addition to your home, wedding and events. Can be used for sweet tables, for favours, on photo albums, mirrors, wall accents, or etc. 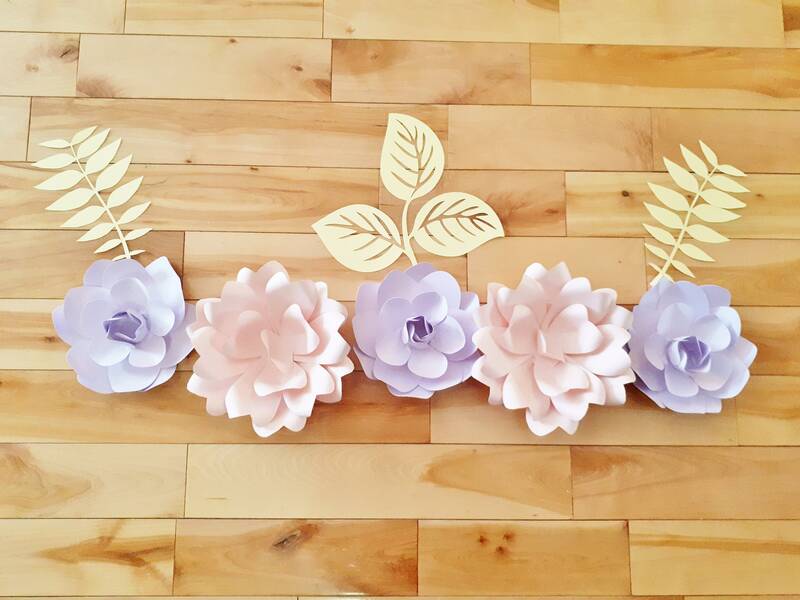 This listing is for 5 Mini Paper Flowers 5 - 8 inches wide. Can be made in any colour(s) of your choice. Custom orders are always welcome. Stems can be added if you'd like. Contact us if you'd like a larger order. 2 to 3 weeks processing time. Super easy to work with and very responsive to messages. The flowers turned out so pretty! Couldnt be happier!